To comply with legislation, the body corporate must call an annual general meeting (AGM) within four months of the end of the financial year. However, members can waive their right to a meeting and agree instead to deal with motions in writing. However, this waiver must be unanimous. If the members do not all consent, then the AGM must go ahead. The waiver must be implemented within one month of the financial year-end. Every meeting other than the AGM is classed as a special general meeting. Trustees may call a special general meeting at any time and are obliged to call one if requested to do so by 25% of members. If the trustees fail to convene a meeting within 14 days of such a request, the members are entitled to call the meeting. The reasons why members might call a meeting are as varied as the matters that arise in daily life in a complex, but the issue to be discussed must be included in the meeting request and in the accompanying agenda. Normally, the chair of the trustees acts as the chair of the annual or special general meeting. If this individual is unavailable or otherwise unable to chair the meeting, the members present can elect a chair for the duration of the meeting. 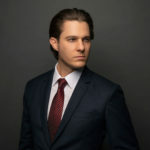 It is the chair’s job to maintain order; ensure all members have a chance to air their views; keep motions proposed within the scope of the meeting; settle disputes and make decisions; and ensure that all relevant documentation is available at the meeting. The chair may not attempt to influence any member from the chair or reveal the chair’s voting intention in advance. General meetings must be quorate, which means, for a body corporate with less than four members, at least two thirds of voting members; and for larger schemes, at least one third of voting members. Motions tabled at general meetings do not require to be seconded, and are passed by a simple majority of members’ votes by value. Members in arrears with levy payments or in breach of any of the scheme’s conduct rules are not eligible to vote. Proxy voting is allowed, subject to terms and conditions. Sectional title law is complex and the regulations are more detailed than what we have outlined here. 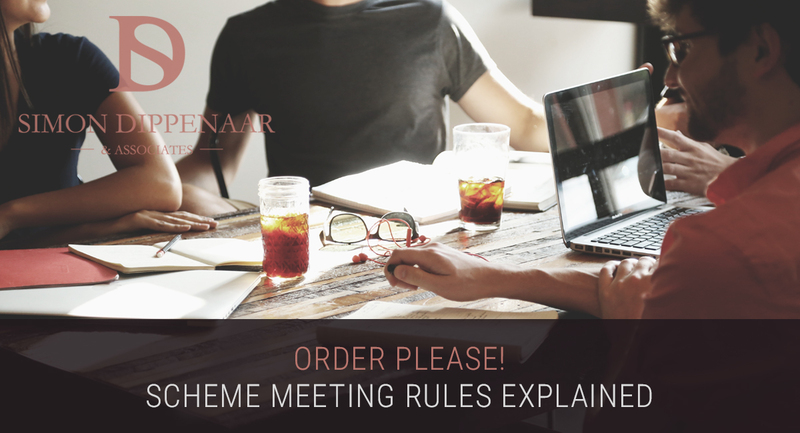 We have attempted to give you a comprehensive but accessible overview of meeting rules. 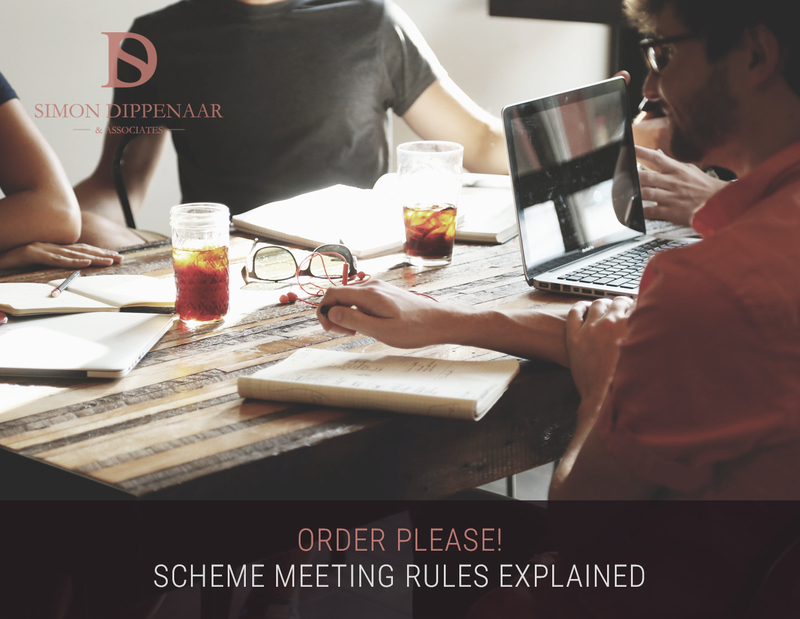 If you have specific questions about the Act or about your scheme, give Simon a call on 087 550 2740 or 076 116 0623 or email sdippenaar@sdlaw.co.za. SD Law & Associates are experts in property management and sectional title law and will resolve your query promptly and efficiently. This entry was posted in Sectional Title Law and tagged in meeting, role, role of the chair, section title law, trustees.